a box. 2-4 Mth Supply. Frownies patches form a splint holding the visible layer of skin smooth and flat overnight for a natural, smooth, healthy-looking skin. Frownies should be worn every day for 30 days. After the 30 day period, continue to use Frownies 4 or more times per week to maintain your more youthful appearance. INGREDIENTS: Unbleached Natural Kraft paper with water-activated gum adhesive. Gentle Lifts Wrinkle Treatment for Fine Lines around the Lips First anti-aging product to smooth Horizontal and Vertical Lip Lines. ​8 to 16 week supply. ​Until now our customers were cutting the traditional Facial Patch to fit the upper and lower lip area to smooth wrinkles. Of course you can opt for injections. But Gentle Lifts have provided the simplest solution to smoothing lines around the mouth. Smokers lines, lipstick lines, vertical lines call them what you will; we don't like them. Frownies the alternative to wrinkle fillers, and other chemical inject-able products, developed Gentle Lifts anti-aging wrinkle treatment to fit comfortably around the lip area. Worn at least 3 hours, but can be left on overnight, Gentle Lifts smooth & flatten wrinkles around the lips. patch is exactly what you have been looking for. :: PEEL the paper back from the patch. :: SMOOTH OUT and separate the lines with your fingers. :: APPLY the patch over the smoothed lines. :: REMOVE patch by slightly wetting to releases adhesive. :: TREAT area with Immune Shield after removing the patch. Daily use of Immune Shield on the area after removal of the patch, because of its high vitamin E content is recommended. Vitamin E is a powerful antioxidant and has the ability to work like topical filler absorbing into the skin, hydrating and filling in the irregular surface area. If you are over 35 and not seeing signs of these lines you inherited good genes from your mother and you can keep the lines away with Gentle Lifts and Immune shield. The lips do not have sebaceous glands or oil producing glands so the lip robs the area around the mouth of moisture leaving fine lines where lipstick runs and wrinkles develop. Using a whole form Vitamin E serum on and around the lips is a great preventive step. Gentle Lifts will smooth and flatten the lines if they have developed. Immune shield is 40% whole vitamin E serum from organic whole oats. The most difficult skin conditions like adult acne, dry irritations and fine lines around the mouth and under the eyes respond to Immune Shield. Immune Shield is an after Sun care product. Vitamin E is a proven anti-oxidant that promotes healing and protects skin from scaring. Vitamin E in Immune Shield will soften wrinkles, promote softer younger looking skin. When looking for topical vitamin E serum no other vitamin E product has this high percentage of active whole vitamin E as Immune Shield. After showering, apply Immune Shield to any problem areas on the skin. Also, use Immune Shield skin care serum for irritated areas or abrasions. Always consult your doctor as to when to begin applying whole, fully active Vitamin E serum to new scars. Immune Shield's Vitamin E matrix is the most bio-available Vitamin E product on the market today. Natural Whole form vitamin E in Immune Shield contains all the phospholipids, polypeptides and phenols for healing that occur naturally in whole vitamin E oil. Because of vitamin E’s healing anti-inflammatory properties a little can be blotted on any pimple or blemishes to promote blemish drying and healing. Acne can be helped by vitamin E in a bio- active form. Skin prone to acne needs extra support all the time. Immune Shield offers the skin the right type of lipid to support healthy skin. Blemishes and pimples like, blackheads, whiteheads, papules, cysts and nodules are all a result of inflammation at some level. The skin produces excess oils when the right lipids are not present. Immune Shield as acne serum with 40% whole form active vitamin E and is rich in poly phenols and amino acids that support the skin integrity. If you are prone to acne use Immune Shield every morning and night on the entire face for beautiful clear skin. Immune Shield is perfect for stretch marks on the skin as well as scars. Immune Shield is 40% whole Vitamin E oil. Clinical trials have proven vitamin E works great on newer stretch marks but even if they are have been on the skin for a while, it still works; it just takes a little longer. If you are pregnant it is safe to apply all natural Immune Shield to the abdominal and hip area as well as the breast. Apply the Immune Shield after taking a shower; re-apply after your next shower. To be effective, you should be applying the vitamin E oil daily. If you do not take a shower every day then, on the days that you don't shower, clean the surface with a clean wet cloth and re-apply as usual. 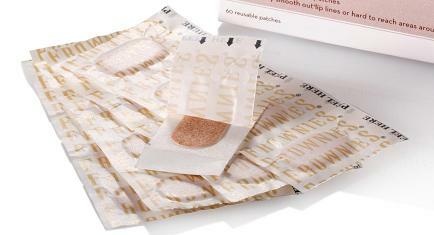 Immune Shield works for stretch marks, scars (including acne scars and blemishes) and any skin irregularities. If you have used vitamin E in the past you will not see the sticky residue like other vitamin E products; Immune Shield absorbs completely and goes to work immediately. Fully Active Phospholipid Molecular Matrix of Vitamin E and Amino Acid and Phenols Phospholipid Complex(whole oat oil), Cyclomethicone, Phenyl Trimethicone, Isononyl Isononanoate, Phenoxethanol. Frownies for use on Corner of Eyes & Mouth 144 pads per a box. 1-2 Mth Supply. ​Frownies are applied to the corners of the eyes and mouth. Frownies should be worn every day for 30 days. After the 30 day period, continue to use Frownies 4 or more times per week to maintain your youthful appearance. You can now add a Spa like treatment in your own home. Frownies Under Eye & Eyelid Gel Patches are all natural gel patches of cactus collagen, aloe and other natural ingredients. Appling the patches for 30 minutes to the under eye and eyelid areas will help smooth the appearance of fine lines, lighten and brighten and assists with dark circles. Frownies Eye Gel Patches contain revolutionary technology to help firm skin, smooth fine lines and normalize skin coloration and premature signs of aging. Use along with Frownies Immune Shield or Immune Perfect for long lasting effects. Instructions: After washing the face and removing all makeup. Next remove the eye patch tray from the foil packet. Apply the patches to the under eye or eyelid areas adjusting it to cover the wrinkles and bags smoothing out the lines under the patches. The patch is the active Cactus Collagen and is a clear gel so you will see through the patch. Once on the skin gently smooth out all the lines under the patch with the pad of your finger over top of the patch, so all areas of the skin are affected by the active ingredients. Leave on for 30 minutes no more than 1 hour. Gently remove the patches and place back in the eye patch tray. You may re-wet the patch in the tray with FROWNIES Rose Water Toner Hydrator to extend the life of the patch, place it in a sealed plastic bag and put in the refrigerator to use again. The patch starts to dry and become brittle re-wet the patch with Rose Water Hydrator to keep it active for as many uses as you can before it dissolves. * Use 3 days in a row initially then use once a week. Do not use it on another persons face after you have already used the patch. Frownies Rose Water Hydrator Spray has been created to smooth fine lines and wrinkles on the skin and enhance the effectiveness of Frownies Facial Pads. Rose Water Hydrator Spray is used as a facial toner in combination with all the Frownies range. Hydrator Spray contains Glycerin, which is proven to be of the highest quality natural humectants, and along with rose water, has been faithful for generations as a facial toner and plumper. Hydrator Spray is used to tone and plump fine lines on the surface of the skin as well as activate the adhesive side of Frownies paper pads. Hydrator Spray provides a sterile, bacteria-free addition of anti-oxidants to the facial pads. It can be used to set makeup and as a refreshing pick up throughout the day, especially during air travel. Ingredients Contains: Water, Glycerin, Aloe Barbadensis Juice, Phenoxyethanol, Sodium PCA, Matricaria (Chamomilla Recutita) Extract, Butylene Glycol, Grapefruit (Citrus Grandis) Seed Extract, Comfrey (Symphytum Officinale) Leaf Extract, Polysorbate 20, Potassium Sorbate Parfum, Sodium Hyaluronate, Rose Centifolia Flower Water.